It’s that time again for Jingle Mingle! 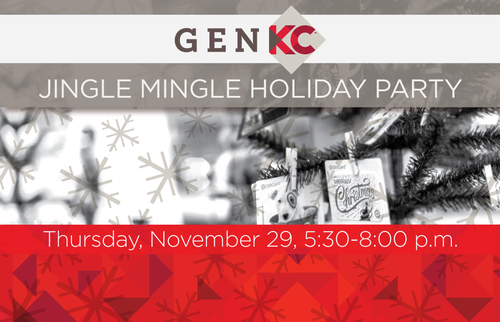 genKC invites KC’s young professionals to enjoy drinks and appetizers while networking with new and old acquaintances and learning more about a unique, local venue. A popular event every year, this is sure to sell out. Grab your ugly holiday sweaters and join us in kicking off the holiday season. It’s fun for a good cause. All proceeds go toward Big Brothers Big Sisters. A $10 gift card to go to Big Brothers Big Sisters. Gift cards can be from any major retailer within the Greater Kansas City region.